The process of embossing is extremely eye-catching, and can add impact and elegance to any surface such as paper, leather, plastic, and more. Halifax Folding Cartons have embossing capabilities up to sheet size 22×30”. Serving Halifax, Nova Scotia, and beyond! 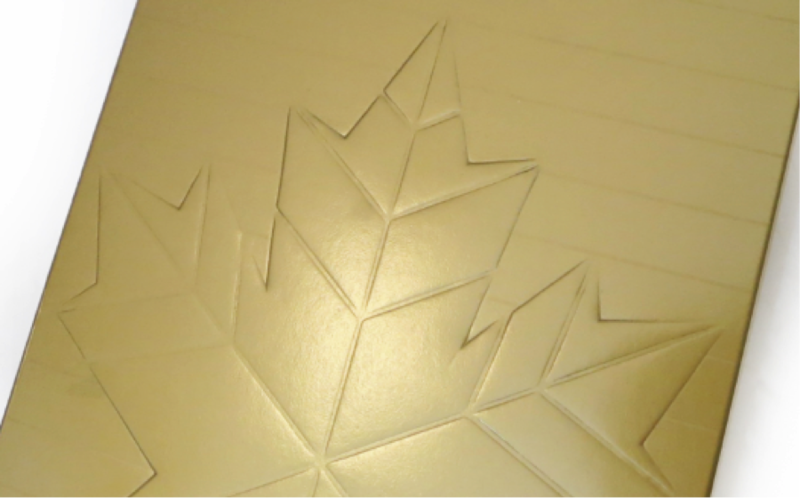 custom kit folder with embossed maple leaf insignia by Halifax Folding Cartons. Embossing adds a lot to a piece!